retail stores. The images below were taken from Domino magazine and J.Crew. home. Or an element of surprise to an otherwise conventional table setting. 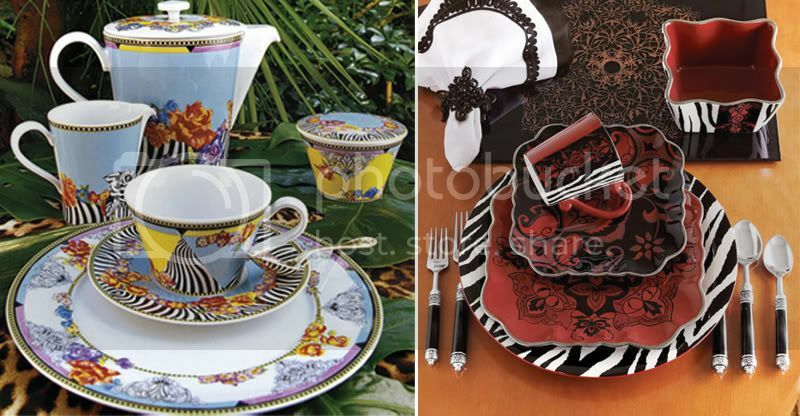 colonial spirit and jungly floral designs are particularly compatible. I love what you've presented here. 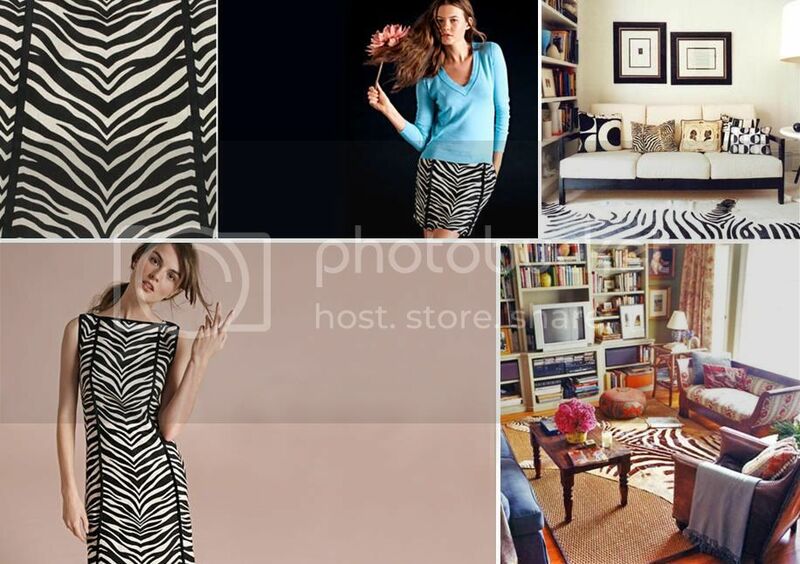 I am clicking over to Z Gallerie right now to snag that Zebra tray. 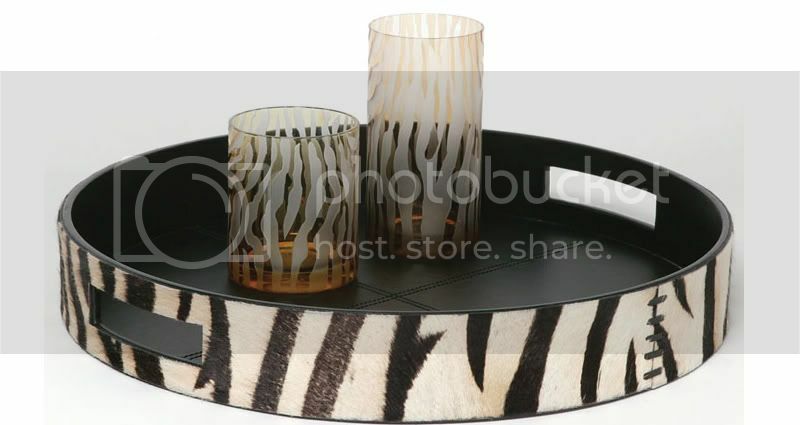 It will go perfectly with the black stemless wine glasses I bought (on clearance!) at C&B. I LOVE those poppies in the first picture! They contrast so nicely with the zebra print. Very fun! 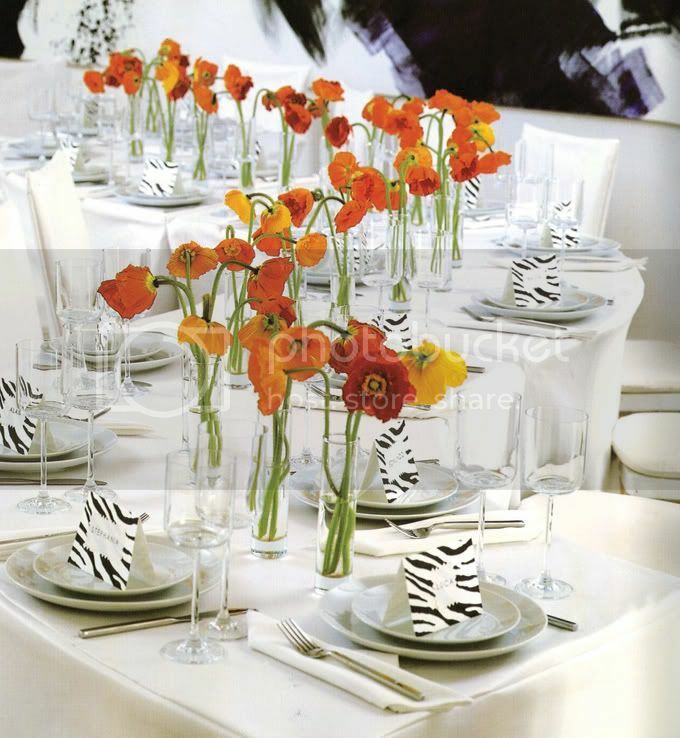 Clever table setting that makes quite an impact. Maybe I am being naive, but it seems simple enough for me to try. 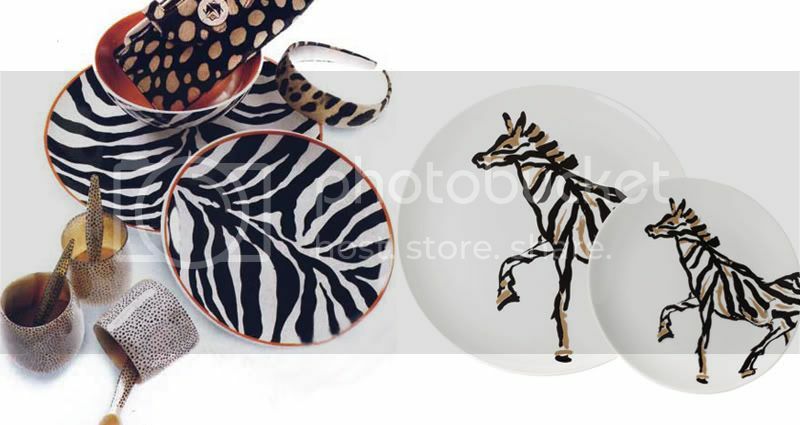 I love the zebra's on the plates.